La Raza is a racist Hispanic organization which preaches that white people are inferior and that the United States government needs to be overthrown. Barack Obama deems such an organization worthy of his big tent. July 23, 2007 , talking change at Obama at National Council of La Raza. We know so little of the Senator who shot from obscurity to political stardom with his message of "national unity". Yet, the more we know, the more we recoil at the thought that a man who stands with the fifth column in this country might very well inhabit the White House. Add to the recent revelations of dangerous liaisons, La Raza. If it is not clear, let me state the obvious. 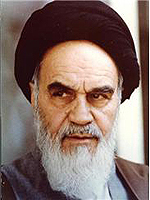 This man is tied to the darkest, subversive elements in American society. Organizations that not only hate America, but in the case of Las Raza, wish to overthrow American sovereignty. Barack Obama denied, again, that he was present last July 22nd when his pastor Jeremiah A. Wright, Jr. preached hatred of white America, and the Obama campaign claimed he couldn’t have been in Chicago because he made a speech in Miami that same afternoon. Indeed he did, a speech to La Raza (The Race) - see the meeting agenda here, and video here. “La Raza has always represented that kind of change,” stated Obama. What kind of change is Obama thinking of? What kind of change does La Raza represent? Check out the La Raza videos here and all over utube, and a report here. More anti-white, anti-American themes that Obama seems to secretly embrace. 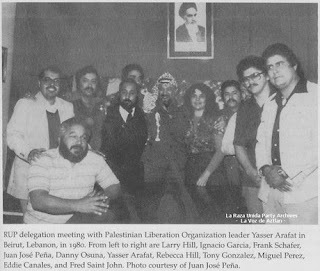 La Raza even claims an affinity with Palestine - photo above and La Raza as Palestinians here. Sound like a Mexican CAIR, yeah? La Raza is a member of MEChA is an Hispanic separatist organization that encourages anti-American activities and civil disobedience whose members romanticize Mexican claims to the "lost Territories" of the Southwestern United States -- a Chicano country called Aztlan. In its national constitution, MEChA calls for self-determination by its members to liberate Aztlan. La Raza is joined at the schmuck with the Aryan Nations and the Moslems. Interesting eh? Skinhead Nazis from the depths of OC....hobnobbing Aztlanian [?] "Bronzists".....and together they are doing the ol' "Daisy-chain" with the Hizzies and Hamasniks! Pastorius: you should check this also: First a Tense Talk with Clinton, then Richardson Backs Obama"
The decision by Mr. Richardson, who ended his own presidential campaign on Jan. 10, to support Mr. Obama was a belt of bad news for Mrs. Clinton. It was a stinging rejection of her candidacy by a man who had served in two senior positions in President Bill Clinton’s administration, and who is one of the nation’s most prominent elected Hispanics. Mr. Richardson came back from vacation to announce his endorsement at a moment when Mrs. Clinton’s hopes of winning the Democratic nomination seem to be dimming. 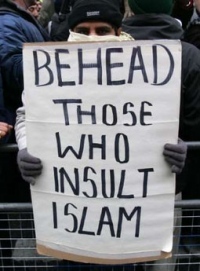 Winds of War: What is a Moderate Muslim?